With Windows 10, Microsoft replaced the classic Calculator program with a new Calculator app. The new Calculator app offers standard, scientific, programmer, and date calculation modes. In addition to these modes, there are converters to calculate almost everything, including currency, volume, length, weight and mass, temperature, energy, area, speed, power, data, pressure, and angle. 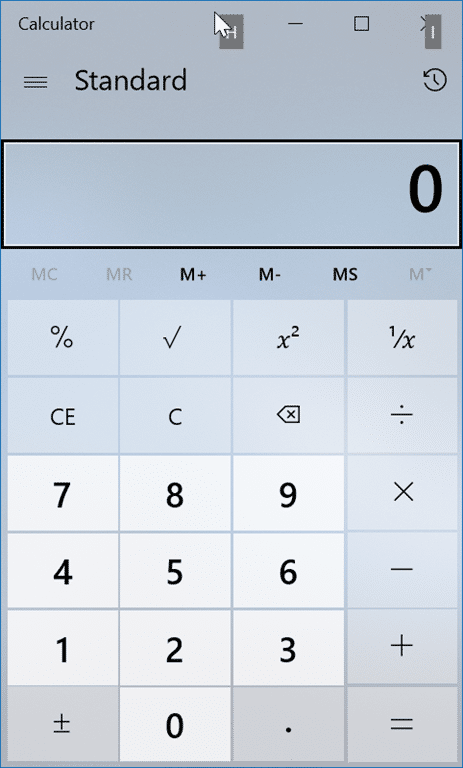 The current version of Windows 10 Calculator app is quite powerful and easily one of the best Calculate apps out there for Windows 10. Since it offers many modes and options, most PC users use it regularly. If you also use the Calculator app very often, you might want to know the keyboard shortcuts available in the Calculator app to complete your calculations quickly. This article itemizes keyboard shortcuts for the Windows 10 Calculator app. If the Calculator app fails to open or work properly, refer to our fix to Calculator app not properly working or opening guide.